Last weekend I had the pleasure of attending a weekend retreat with eight other fiction writers. Although the cabin could have been warmer and the weather less rainy, I loved sharing stories, good food, and laughter with like-minded women. One of the participant’s keeps a journal. Sandra Merville Hart read us her entry that morning. I was impressed with her graceful, evocative prose. Come share the joys of a vacation cabin in early spring in Hocking Hills, Ohio. I’m at a writers retreat this morning. It’s 7:10 am and I’m showered and dressed. It’s been raining since before Becky and I arrived yesterday afternoon. Mary isn’t feeling well. The damp chill is having a harsh effect on her RA. I think she slept some but not nearly enough. I believe she’s upstairs resting in the recliner now. It felt like a refrigerator in this cabin basement last night. I’m glad I brought an extra blanket. Carole just popped her head in. She was freezing last night, too — so chilled, in fact, that she now has a headache because of it. This rustic and homey cabin is beating us up a little. I have a headache and the start of a cold. Mine might be from taking a not-too-warm shower. I rushed for fear that the water would get completely cold. I hear voices now — Carole and Tamera, I think. Michelle just turned on the light in the futon room. The authors are waking up. Beware, world. Who knows what will happen in our morning’s writing session? Killers revealed? Innocent people murdered in a crime of greed? A man and woman in a promising dating relationship quarrel over some insignificant event and it spirals out of control. Or maybe they fight over something vitally important and seemingly part ways forever. Seemingly. We authors excel at painting a picture of how bad it gets when people don’t communicate. Perhaps a couple will receive news of a pregnancy. She’s thrilled; he pushes for an abortion. How about a story of a little girl who befriends the lonely old woman next door — the one who doesn’t want any children walking through her yard so the child stays on her side of the bushes and talks louder? Knowing Michelle, some sci-fi adventure will take place in a scope and dimension that my brain can only marvel at. Or perhaps we will step back in time to Victorian America with settings in a small town, a prairie, or a progressive college. Just look out world. The authors will be hard at work today. And we hope you are the better for it. We will be. I’ve had the pleasure of reading Sandy’s debut novel, A Stranger on My Land, and found it delightful. Here’s her bio: Sandra Merville Hart loves to find unusual facts in her historical research to use in her stories. She and her husband enjoy traveling to many of the sites in her books to explore the history. She serves as Assistant Editor for DevoKids.com and contributes articles about history and holidays. 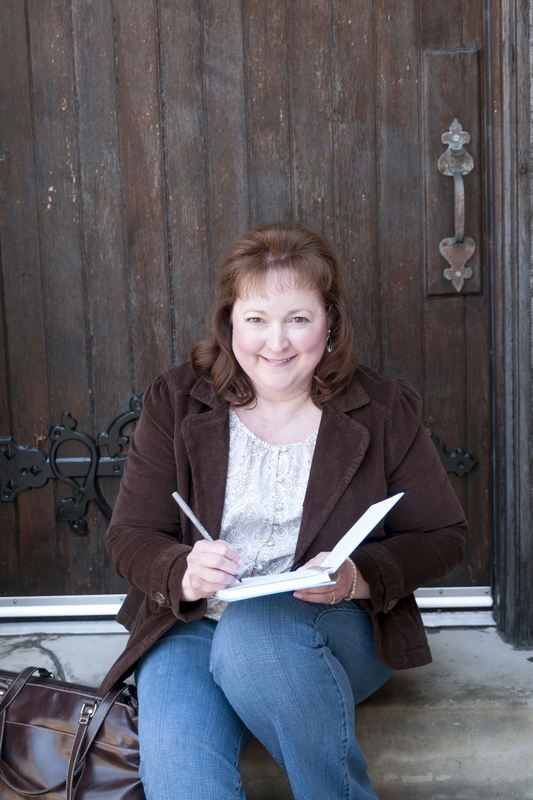 She has written for several publications and websites including The Secret Place, Harpstring, Splickety Magazine, Pockets Magazine, Common Ground, Afictionado, and ChristianDevotions.us. 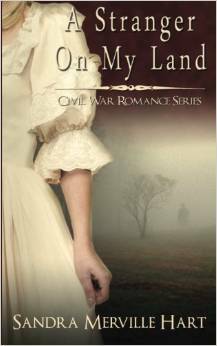 Her inspirational Civil War novella, A Stranger on My Land, released on August 21, 2014.